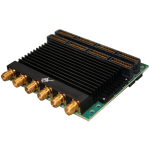 High performance WILDSTAR™ DAC mezzanine cards provides multiple channels of high speed, high bandwidth, precision digital-to-analog converter outputs to a compatible motherboard. 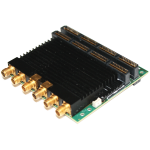 They provides excellent analog performance with flexible high-precision trigger options. 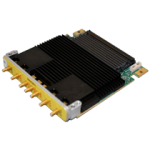 WILDSTAR DA Converter mezzanine cards are shipped with a custom heatsink to ensure enables proper cooling. 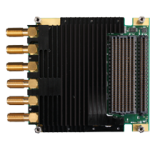 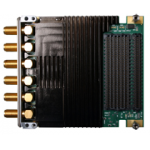 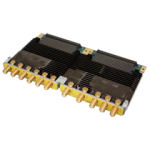 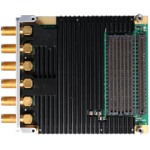 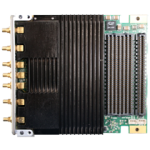 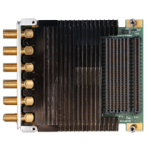 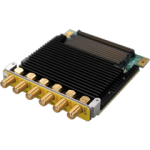 This high performance quad channel 12GSps DAC with two input bandwidth options, internal sample clock options and internal 10MHz reference clock options.